Gabriel C. Cederberg Grolier Poetry Book Shop is located on Plympton Street, right off of Harvard Square. It has been around for 90 years and is associated with famed Harvard poets, including T.S. Eliot. 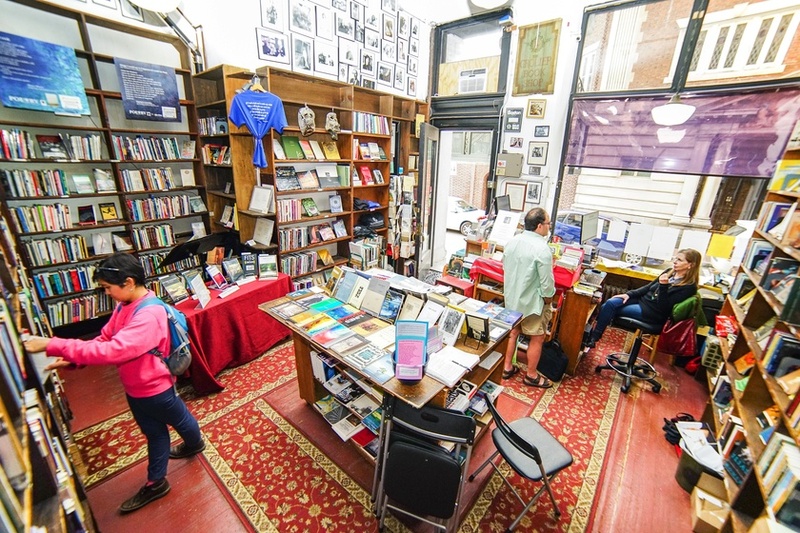 Behind a creaky door lies nearly a century of poetic history: The Grolier Poetry Book Shop has been an integral part of the Harvard Square community since 1927, making it the oldest continuously-run poetry shop in the US. On the Grolier’s 90th anniversary, FM speaks with Ifeanyi A. Menkiti, who became the owner of the shop in 2006. Menkiti was born and raised in Nigeria and came to the U.S. to attend Pomona College, where he studied philosophy and literature. At Pomona, Menkiti received an award for his thesis on Ezra Pound, which he highlights as the starting point of his fascination with poetry. Menkiti went on to become a professor of philosophy at Wellesley College, a position from which he retired in 2014. While teaching at Wellesley, he purchased the Grolier. “I had this association with good vibes about poetry from Pomona. I believed in the longevity and continuity of the language,” Menkiti says. 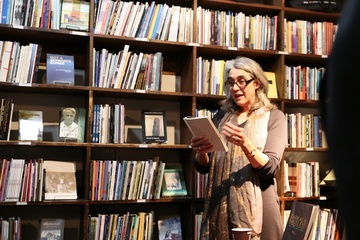 “The fact that [the Grolier is] still there when the big companies like Borders and Barnes and Noble are being swallowed up by Amazon shows how poetry can help to move the world along. In the coming months, Menkiti has a few events planned for the bookstore’s 90th anniversary. On November 14, he plans to show the poetry of Donald Hall and e. e. cummings set to music at the Oberon Theater. If all goes well, he hopes to throw a gala in the spring, and an event at Sanders Theater. Finally, he intends to close down Plympton Street in April or May for a street party with live poetry readings, music, and food. Raucous anniversary celebrations aside, there is something pleasantly steady about Grolier Poetry Book Shop. As campus construction and Square reshaping continues around it, the Grolier is still embedded firmly on Plympton Street, unchanging. Menkiti thinks poetry has a similar sense of finality.